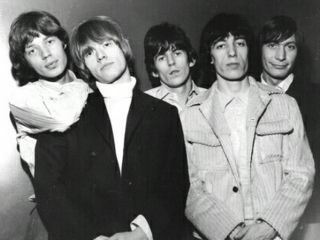 The Rolling Stones are being hailed as heroes after one of their songs woke up a fan of theirs from a near-fatal coma. British citizen Sam Carter had lost consciousness after contracting severe anaemia. Doctors gave the retired baker from Stoke only a 30 percent chance of survival, but nonetheless advised his wife to strap some headphones onto her husband's head and play his favorite song, The Rolling Stones' (I Can't Get No) Satisfaction, the very first single Carter bought as a teenager in 1965. "I suddenly had a burst of energy and knew I had a lot more life left in me," says Carter, "and that's when I woke up - to the sound of the first song I ever bought. "I would love to thank Mick (Jagger) and the rest of the Stones personally - I feel they really did help wake me from my coma." No word yet on whether doctors are planning to use Sympathy For The Devil for future such situations.